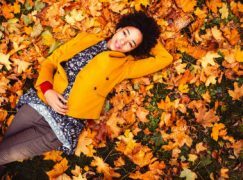 As a single mom of three active teens, manager of a yoga studio and entrepreneur, I can certainly relate to the pressures of getting it all in. 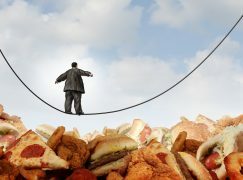 Add to the mix a desire to make health a priority and it seems near impossible. Thanks to some innovative conveniences, technology and creative thinking I have come up with some simple life hacks to keep you on track. 1. Stay Fueled on the Go! Meal prep is a thing. Embrace it! Sundays are for chopping and bagging fresh veggies so they are ready to grab and go all week long. This is a huge time saver for packing lunches and long days at the studio. I keep a jar of organic almond butter at my desk for that mid-day-not-enough-time-to-eat-but-I’m-starving time. Add a snack bag of fresh celery and my craving is tamed. I have researched a lot of nutrition bars and have had a hard time settling on one that isn’t loaded with sugar, salt and unhealthy fats. 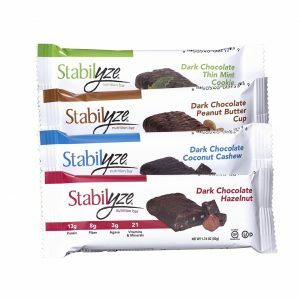 My bar of choice at the moment is the Dark Chocolate Coconut Cashew by Stabilyze. It has 21 essential vitamins and minerals, 11 grams of protein and 8 grams of fiber. Keeps me satified and energized! 2. Eat homemade as much as possible – there’s an app for that! Now before you roll your eyes and click back to Facebook, please hear me out. This may be one of the biggest obstacles for me personally and I actually love to cook! It’s not so much about the time it takes to prepare the meal as it is having the ingredients on hand to do so. At the recommendation of a co-worker, I tried buying my groceries online for the first time about a month ago. I actually had them delivered! (Uber is genius!) The app I used was easy and because of my frequent shopper card, had past purchased items ready for me to click on. I have not been back inside that grocery store since. I do go pick them up now and the friendly attendant brings them right out to my car. It is a life saver. I simply add to my list throughout the week. This helps to mentally meal prep way in advance and no more forgetting items either! Meal delivery plans are also becoming very popular and while I have not tried one yet, I have heard amazing things about them. You can find special and restricted diets like organic, gluten-free, vegetarian, paleo etc. Don’t get me wrong, I enjoy the occasional meal out, but you never really know exactly what you are getting when food is being mass produced. Eat at home and prepare healthy meals as much as your schedule permits. It’s great, quality family time. This will keep you feeling good, healthy and ready to conquer all your days! 3. Stay Grounded While You Soar. I’m a huge fan of being adventurous, seeing the world and making things happen! Traveling, movies, watching my kids perform and compete, going to an amusement park or museum all make me feel “woke.” Spending time with friends, entertaining, working out….it’s all good stuff! As a yogi, it always comes down to balance. So soar, fly and be the absolute best version of you, but always remember to get quiet and be still. Prayer, meditation, peace. Take some time each day for this practice. The newest meditation app I have tried recently is Brightmind. The things I love most about this app are the variety of meditations to choose from and that I can tailor them to my specific goals! 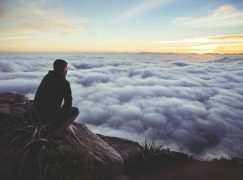 Becoming still and getting in touch with spirit and soul helps us to hear more of what’s most important. This is crucial for time management and overall health. 4. Keep it clean and stay well. I wouldn’t say I’m a germaphobe. But a clean, healthy space is a happy place! Spray hand sanitizers and immunity oil blends are just a few of my favorite things. North Texas weather can be a little bi-polar, triggering allergies, coughs and colds even in the strongest of immune systems. With absolutely zero time to be sick, I take all the necessary precautions. Every morning I make an immunity boosting shot of warm water, lemon, manuka honey, turmeric, ginger, cayenne and apple cider vinegar. I have also just added to my purse the handiest little pick me up ever. 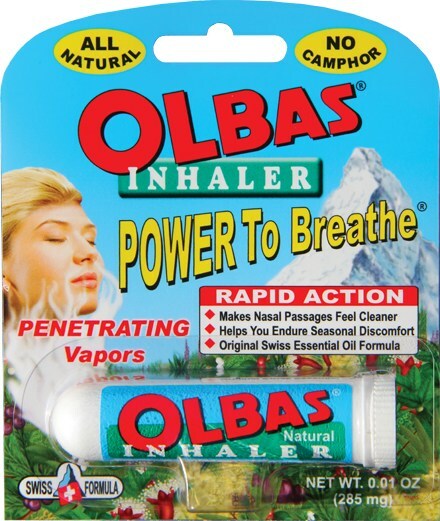 It’s my Olbas inhaler. I love the fast acting powerful vapors of menthol, peppermint, cajeput and eucalyptol. Pop one in your pocket for instant relief and an energy boost wherever you go. It’s all natural and contains no harmful chemical ingredients. If you keep your sinuses clean and working well, you will stay healthy because toxins are able to release and yucky bacteria will not build up! Think about things that make you feel good. There is a saying that “no mom has it 100% all together.” Determine what’s most important for you and make all your decisions based on that. Remember, the best gift you can give your loved ones is your undivided attention and time. And the most important things in life are not things. Stay healthy, happy and awesome!